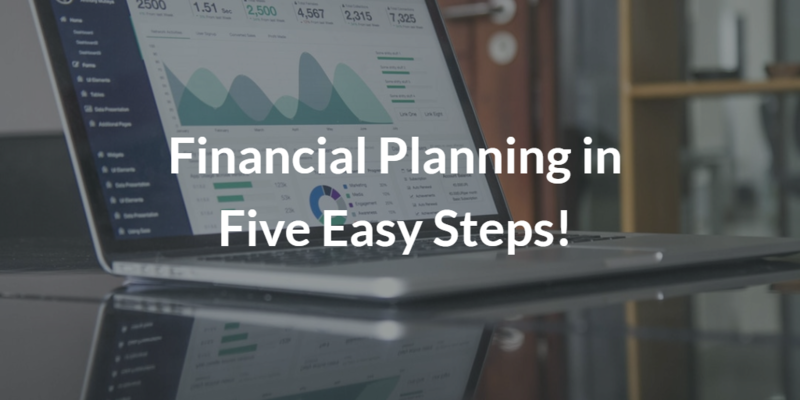 Financial Planning in Five Easy Steps! Over the next few weeks, our blog will include some guidance on the fundamentals of financial planning. It will not replace a financial plan since the information will be generalized; however, it should help provide some guidance for you. This should be in a distinct account; don’t commingle your emergency funds with your checking account. Baby steps, start by saving 1x your monthly gross income. Find your most recent paystub and locate your gross pay at the top (before taxes and any deductions that are taken out). Goal is to have 3x-6x your monthly gross income. This won’t happen overnight, but you need to make this a priority! Credit cards should always be at a $0 balance each month. Make sure you can pay these off each month. If these balances are out of control and you can’t pay them off each month, you are most likely living outside of your means (Sorry, the truth hurts sometimes). Cars should be paid off in 3 years. If you can’t pay it off within 3 years, you bought a car you can’t afford (Sorry again, but someone needs to be honest with you. The car salesmen that just locked you in for 72 months of payments doesn’t care about your financial wellness, he cared about his commission). Mortgages and student loans are a little different, we will touch on these later. Invest whatever amount is necessary to get the FULL match on your 401k, it is FREE money! Never take a loan from your 401k. Take advantage of any employer benefits programs. Life Insurance, Disability Insurance, Heath Savings Accounts (HSA). For now leave it at this, build a budget and try your best to follow it. It takes about 3-4 months on average to adjust to a new budget. We will have more details on this when we hit cash flow on the next blog. Example: You save 4% of your salary and your employer match is 4% (also known as 100% match up to 4%). Next, you max out your Roth IRA, which is 8.7% of your gross income (example: $6,000 Roth contribution with a gross income of $68,750), which puts you at 12.7%. Now, take the extra 8% and invest it into your 401k or Roth 401k (if available). Boom, you’re at 20.7%. Notice that I don’t count your 401k match towards your saving %, not going to let you off that easy. And there you have it, 5 basic steps to help build a solid financial foundation. Heck, if you were able to follow just those 5 items, you would be looking pretty good financially! Remember that wealth building is a marathon, not a sprint. The Tortious wins the race every time you read The Tortoise and the Hare. Next week on the docket, we have cash flow. From businesses to individuals, cash flow is king! Questions and comments can always be emailed to us. That would be a great time to ask any specifics on the items above or any other questions you have! Advisory Services and Financial Planning offered through Vicus Capital, Inc., a Federally Registered Investment Advisor. Registered Representative offering securities through Cetera Advisor Networks LLC, Member FINRA/SIPC. Cetera is under separate ownership from any other named entity. Registered Representatives are registered to conduct securities business and licensed to conduct insurance business in limited states. Response to, or contact with, residents of other states will only be made upon compliance with applicable licensing and registration requirements. The information in this website is for U.S. residents only and does not constitute an offer to sell, or a solicitation of an offer to purchase brokerage services to persons outside of the United States. Fidelity is one of the leading investment and financial services companies in the world, providing a full range of trading, broad custody, and reporting services. Fidelity administers clients’ assets via the power and operational experience of one of the strongest brokerage platforms in the business and serves as the custodian for many of our clients at WealthKeel. WealthHarbor is the exclusive financial planning portal of WealthKeel clients. The portal allows clients to link all of their investments, bank accounts, liabilities, and more to one central, secure website. WealthHarbor helps to organize your financial life and enables you to see the big picture at a single glance. Vicus is a Federally Registered Investment Advisor that collaborates with WealthKeel to provide robust asset management services for clients. We work with Vicus to create strategic, low-cost investment portfolios by tapping into the best technology in the business. No matter what your specific preferences, goals, and timelines, Vicus empowers us to build the ideal portfolio for your unique financial situation. At WealthKeel, we want to provide our clients with custom-crafted solutions for every financial need and concern. That’s why, in addition to Fidelity, we work with TD Ameritrade to offer those we serve a range of choices when it comes to partnering with custodians for investment management services. Black Diamond provides innovative and dynamic portfolio management and performance reporting through an easy-to-use web-based application. Black Diamond gives WealthKeel clients easy access to their accounts and information, so they remain informed, up-to-date, and aware of their investments.